Plan International Cambodia’s Girls Lead project is now on the move in several provinces in the kingdom. The five-year project, which is fully funded and supported by Plan International Germany, is aimed to empower girls and young women to learn, share, create, and lead the efforts to promote social development and gender equality in Cambodia. It is also gaining solid support from boys, young men, families, schools, communities and the government. Girls Lead is currently being implemented in the provinces of Stung Treng, Ratanakiri, Siem Reap and Tbong Khmom. Within the duration of the Plan International project, the young women in these particular areas are expected to study and gain skills that will help them become successful when they start working or put up their own businesses. 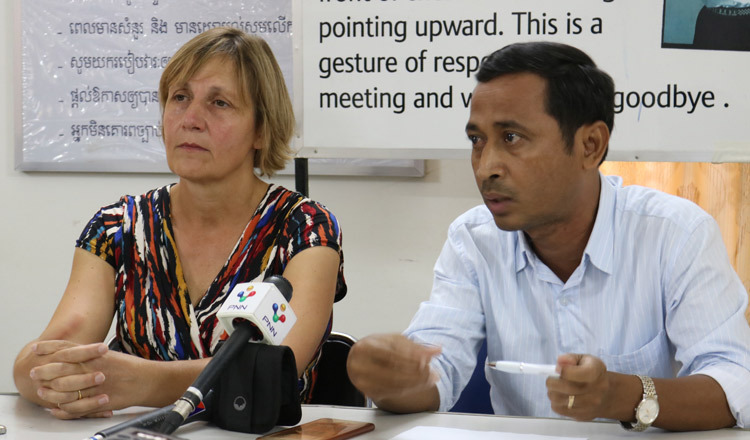 During a visit to some of the project sites in Ratanakiri and Stung Treng, Maike Röttger, the national executive director of Plan International Germany, said that she has seen big changes in the lives of the communities the organisation is helping out. She emphasised that there have been improvements in the hygiene and electricity aspects of the communities. “In a village in Ratanakiri, people now have light and water. With these changes, they now know and understand the importance of hygiene, especially for women and young girls. They don’t have to fetch water anymore to bring to their houses and can now, instead, go to school,” Ms Röttger said. Ms Röttger visited the two provinces and discussed with the community about several important issues that need to be addressed. She led the meeting with the parenting group on the care and development of young children, observing hygiene and sanitation promotion among young children, visiting health and nutrition promotion with pregnant and lactating women and visiting home gardens and interacting with indigenous farmer groups. She, however, emphasised that helping poor communities, children and women should not be done solely by Plan International or any non-governmental organisation. Parents and other members of the society should also actively collaborate to make the projects successful. Plan International’s Girls Lead project does not only focus on inculcating leadership skills among young girls. It is also aimed to help their respective families and communities. Neang Sovathana or DJ Nana is an honorary ambassador for Plan International Cambodia.